This is a story about stories. On its most basic level, Oscar’s Ghost is about Oscar Wilde’s life and how its telling affected the lives of two people whom fate had cast as characters in it. But it is also about other stories: the stories told in courtrooms masquerading as the `whole truth’; the stories we tell ourselves to create an identity; stories we tell others to carve out a place in the community; stories that marginalized groups tell themselves to make sense of their difference; and the stories society relies upon to explain a moment in history. Oscar’s Ghost explores how all these stories interact and what happens when contradictory narratives collide. So begins Oscar’s Ghost by Laura Lee. Ostensibly, Lee’s book is about how Oscar Wilde came to write De Profundis, and the subsequent feud between Lord Alfred Douglas and Robert Ross. While in prison, after being convicted of `gross indecency’, Wilde attempted to rehabilitate his tarnished reputation and legacy by writing De Profundis, a long essay (50,000 words) in the form of a letter to Douglas, his former lover, who he repudiates in this letter. Wilde entrusted the manuscript to Ross, another former lover (of both Wilde and Douglas), who did not allow its intended recipient to read the manuscript; indeed, Douglas first learned of its existence in 1913, when it was used as evidence against him during a libel trial that he had instigated against Arthur Ransome. By this time, Wilde had been dead for a decade, Douglas had undergone a religious conversion to Roman Catholicism, and Ross, formerly Douglas’ bestie, now despised him. 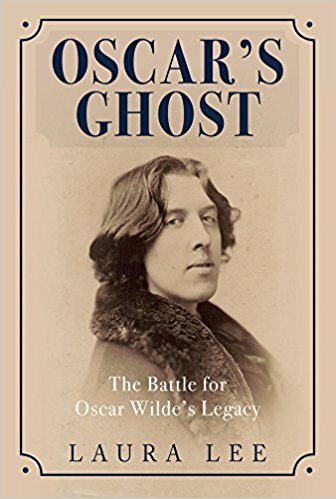 But Oscar’s Ghost is much more than just the story about Wilde’s attempt to define his own legacy. The book begins by providing context: Lee introduces each of the main characters, explains how they each met, and examines the many interconnections between them in the wider circle of Wilde’s entourage. She then discusses Wilde’s trial and resulting imprisonment, and finally examines the ramifications of Wilde’s writing of De Profundis. For Wilde was not the only one engaged in active myth-making: Ross, as Wilde’s literary executor, sought to restore Wilde’s literary reputation, and would use De Profundis as part of this larger goal, whereas Douglas spent most of his remaining life responding to the narrative that he had betrayed Wilde, was only interested in Wilde for his money, and was responsible for Wilde’s death. Most of their attempts to control the narrative of Wilde’s life and death (and thus their own roles in these events) was done in the courts, where Douglas and Ross both tried to present the `true side’ of what happened, in a series of lawsuits. (Not surprisingly, as former lovers, the battle between Ross and Douglas would be especially fierce.) Of course, the media impacted public perception of Wilde’s legacy (and the respective roles Douglas and Ross played), by what journalists would record in the newspapers, either choosing to report the court proceedings or not, their decisions depending upon the salacious nature of the testimony. Lee therefore devotes a substantial portion of her book to these trials, as they are responsible for much of the subsequent perception of Douglas and Ross (and, indirectly, of Wilde). Meticulously researched and evenly presented, Lee presents the dramatis personae in their full contradictory glory (Douglas especially seems to have inherited a propensity for mental illness from his father). More than a dry retelling of queer history, it is an engaging story in its own right. In case you hadn’t noticed, this is a grisly cover. It is, nevertheless, effective. I received this ARC a couple of months ago, and a morbid fascination with that picture–the same one that leads me to collect celebrity autopsy photos, which is way more than you need to know about me–kept it atop the TBR pile. Even better, the cover is not the best thing about this novel. 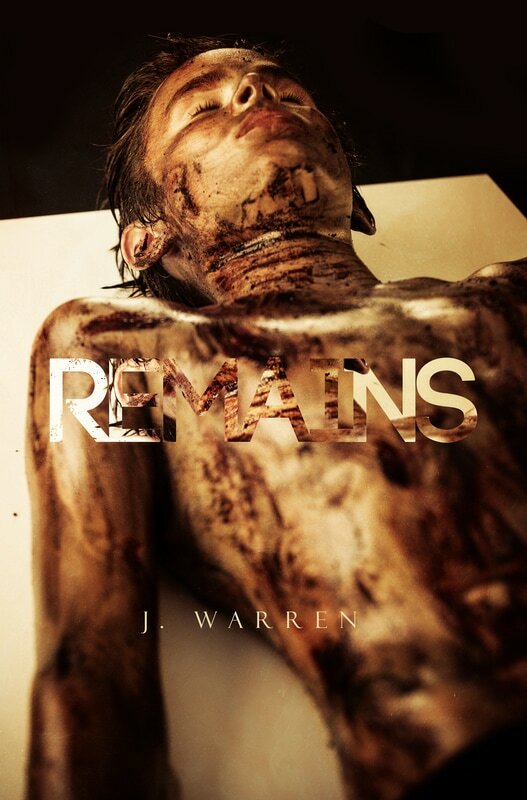 Remains is a highly intriguing mystery as well as a fascinating look at one family’s dysfunction. Mike Kendall is summoned back home for Thanksiving by his father, ostensibly because his mother would like to see him. He acquiesces even though Placerville is the destination of media throughout the state due to the discovery of a boy’s remains. Worse, Mike knows the bones are that of long-missing Randy MacPherson, a friend of his. As he waits for confirmation along with the rest of the town, he becomes involved with a former bully. Together, they try to discover the truth about Randy’s death. Although the book is from Mike’s point of view and we never leave his head, the story doesn’t feels closed off. Instead, the pieces we see of his relationship with his parents and sister are detailed and personal. And, as Carl Rogers said, what is most personal is most universal. We have all had those moments with loved ones–you know, the ones where for a fraction of a second, we don’t love them anymore–but then the bond snaps back. With Mike, however, that bond is stretched tighter and tighter, and you know it will break. It’s just a question of when. That’s only one of the means Warren has at his disposal to generate tension, and he does so with great efficiency. Not much is wasted here. The scenes are well-trimmed and lean, devoid of much scene setting so you can get to the action or the emotion quickly. The few sentences he uses to conjure up small town California are sufficient. Warren’s prose is what I like to call “iceberg” writing because most of its meaning is below the surface. …and his boots moved a little; the car shifted some. I thought about how in-tune you can get with a machine when you’re underneath and could be crushed at any moment. The oil was already sputtering, coming in two long, thin rivers. It wouldn’t be long now. Suddenly, the rest of the passage becomes ominous. Speaking of ominous, the actual solution to the mystery of what happened to Randy is as chilling and unique as it is off-putting. Those clues are planted early and often, and as soon as one of the characters makes the connection, it’s a head-smacking why-didn’t-I-see-that moment well worth your time. And if the cover puts you off, understand that’s as violent as the book gets. We get no obscenely detailed information about the murder or the body. You may, however, want to slipcover the book before taking it to the gym. Or not. It might keep the treadmill next to you clear. Regular readers will note that some of my favorite books are historicals, and Justine Saracen has been one of my favorite authors since Sarah, Son of God, so I have been looking forward to The Sniper’s Kiss. I was not disappointed, finding her latest to be on an equal footing with The Witch of Stalingrad. Although The Sniper’s Kiss is similar to Stalingrad, some very important differences can be discerned. The commonality, of course, is that they’re both richly textured historical romances. Russian immigrant Mia finds a new life in America, culminating in her working as a translator in FDR’s wartime White House, an intimate of the likes of Harry Hopkins, Eleanor Roosevelt and Lorena Hickok, and Franklin Roosevelt himself. On an official function, she is taken by Alexia, a young blonde woman guarding Stalin. Soon, a quick, tipsy kiss bonds them so tightly, Mia’s kidnapping by a Russian official, Alexia’s sniper duties, imprisonment, starvation, privation, mistaken identity, blackmail, and betrayal can’t break them apart. If you’ve read Saracen before, she’s at her finest here. Her action sequences pop, her plots are twisty, and she loves to put her heroines in the most dire of circumstances and extract them slowly. The biggest difference here is that there seems to be more historical incidents here than in other of her books. I may be wrong in the comparison, but it also seems as if her Roosevelt is more avuncular than other renderings I’ve read. Nevertheless, her treatment of Eleanor and Lorena is sensitive and nuanced. The only minor quibble I’d have is the inclusion of a somewhat stilted blackmail plot involving Mia’s father that begins the book. It’s of minor importance even later and could have been dispensed with. While it doesn’t detract from the whole, neither does it add much to it. By the time the major action got underway, that small subplot got lost in the larger shuffle. 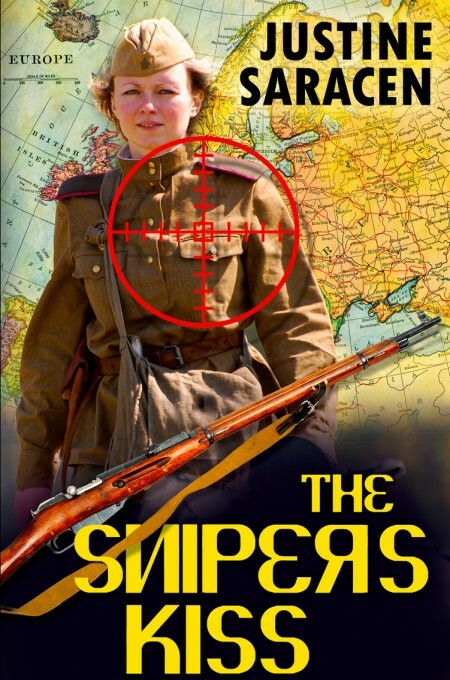 Be that as it may, The Sniper’s Kiss is prime Saracen–detailed and meticulously researched, yet never feels anything other than contemporary. A great follow-up, and I can’t wait to see what’s next.